This recipe is for Allie, who brought the Heaven that is Halloumi cheese into my life. 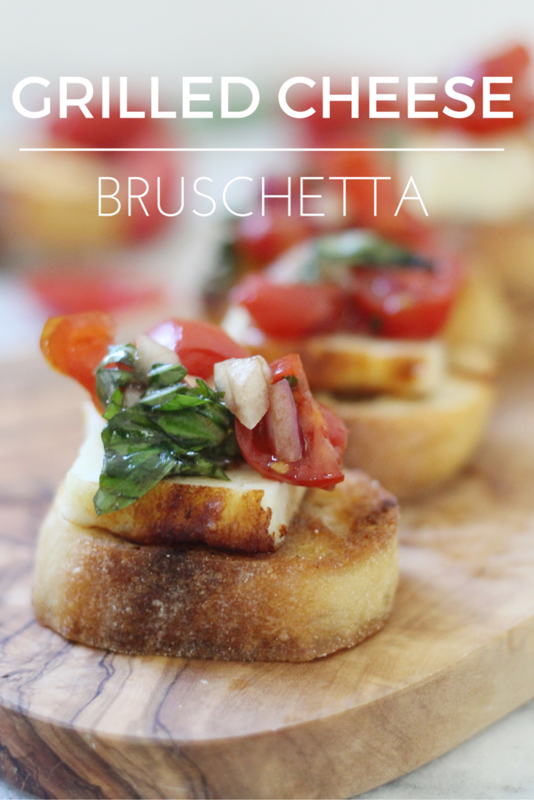 It's no secret that I have an intense love for Bruschetta. 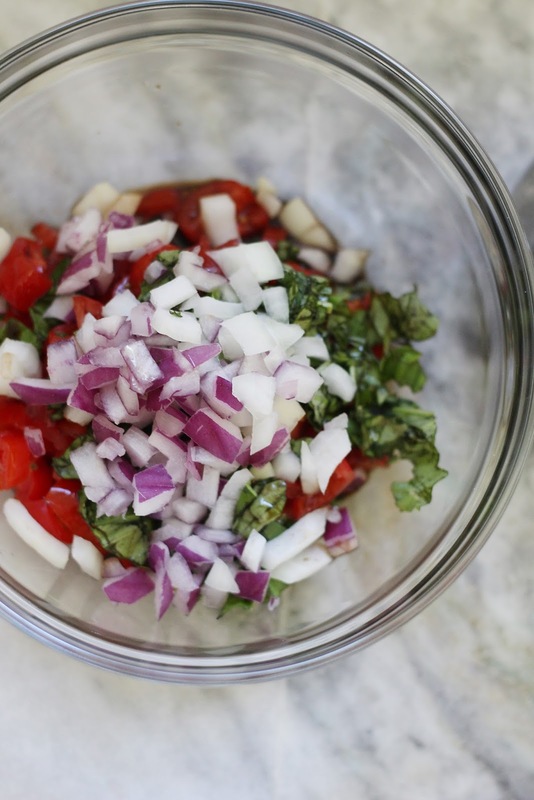 I crave it in the Summer and really prefer to make my own - fresh, bright, quick and an easy to use up all of those Summer veggies, who could say no? A few weekends ago, I learned that there is a cheese from Cypress that is specifically meant for grilling. 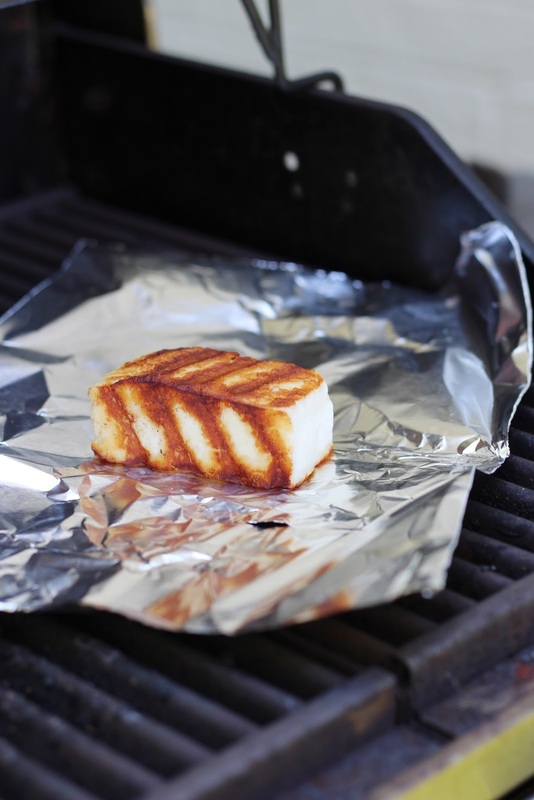 Halloumi is briny, salty and a bit like feta but with the texture of a mozzarella. 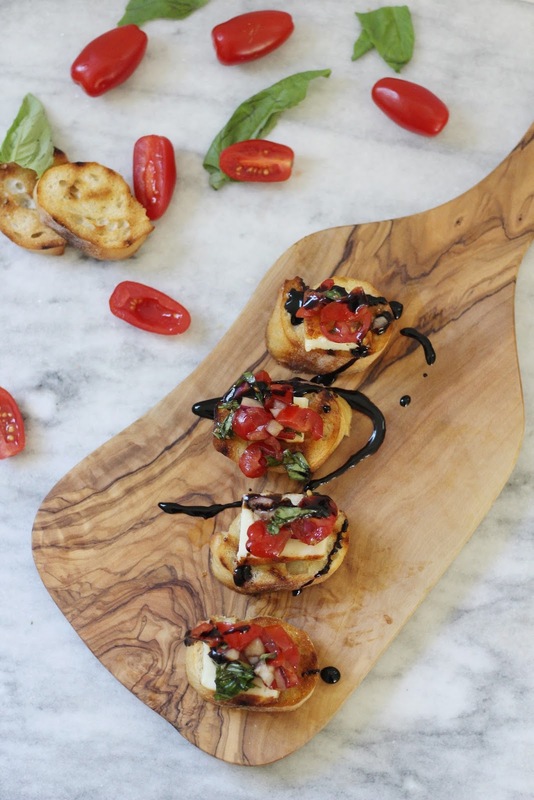 It holds it's shape when grilled (or fried in a pan) and doesn't get gooey - you can slice it for salads, sandwiches or, in this case, bruschetta! 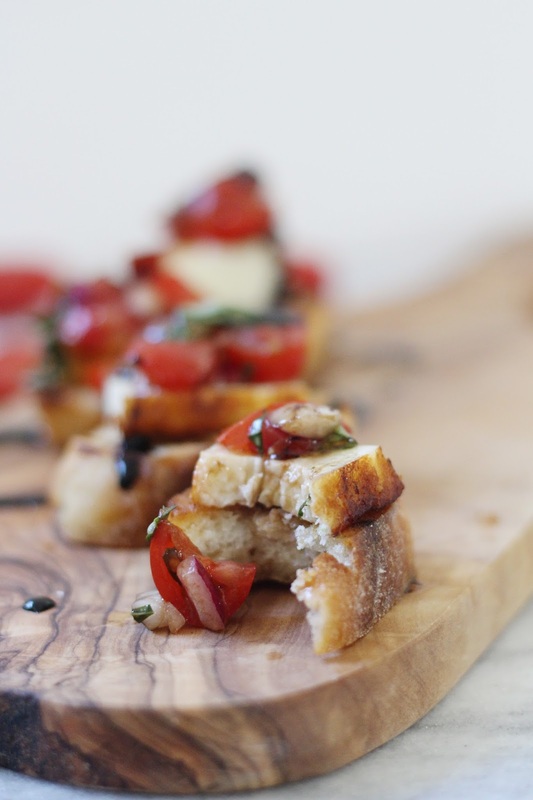 I simply cannot recommend this recipe enough - it's super easy and would really be impressive on a charcuterie board with prosciutto and olives. You can adapt the recipe to serve as many as you like but this version will happily serve two adults for a meal or 4 who are snacking (or just me after I spent the afternoon photographing it). 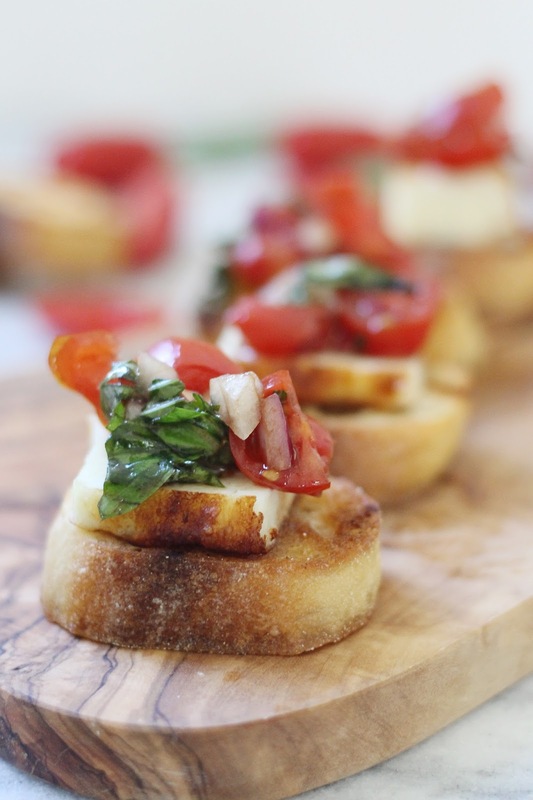 and top with the bruschetta mixture using a slotted spoon or fork. Seriously, I'm betting this will be the new number one recipe your friends beg you to make! Good lord this is my love language. Never heard of this cheese and I am a serious cheese lover so I will be looking into it asap!! This looks amazing! 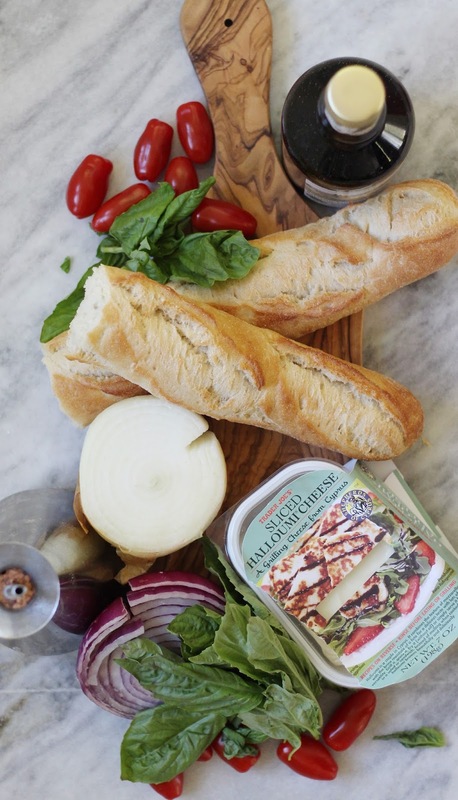 We usually do the exact same thing except with feta... but I need to try this cheese. TJ's, here I come! My family is from Cyprus and we always bring back pounds of Haloumi and keep it in the freezer. So glad people are starting to experience its deliciousness :) Also try it grilled with fresh watermelon..so good!! YUM! This looks so good! And fancy!